Enjoy a Special Ladies Night Out this Thursday April 11th. From 6pm to 8pm visitors will enjoy great reductions in the Shanagarry Design Centre. 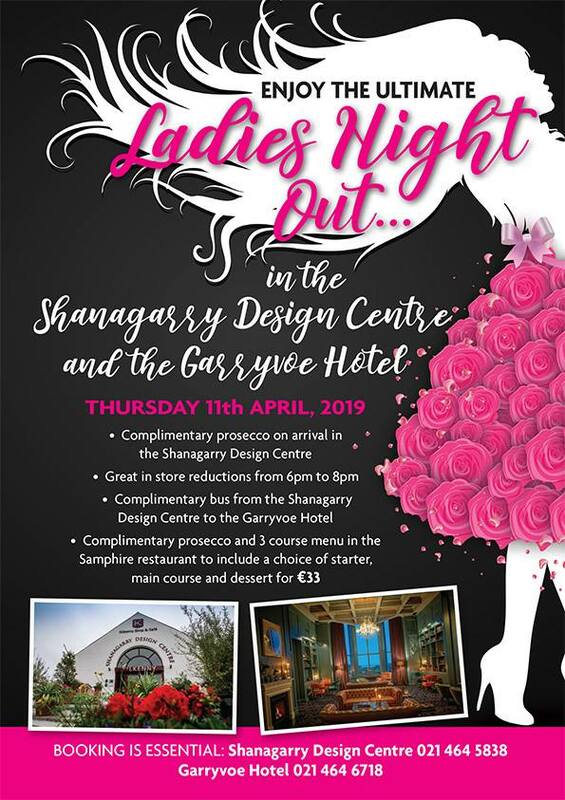 Booking is essential, so contact Shanagarry Design Centre on 021 464 5838 to book your place, or for more information.